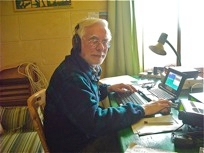 In 2011, at the ripe old age of 73 years, I made my very first small scale Dxpedition outside the UK. I had been on many a UK based portable trip with local club members and have done countless weekend trips, involving overnight camping (some on mountain tops), to rare UK Locator squares for my microwave pals but I had never taken equipment overseas before the 2011 Commonwealth Contest (aka BERU), apart from two long term periods as an immigrant to New Zealand in the 60s and 70s. After last years surprising BERU success as VP2V/G3PHO (3rd position in the Restricted Section) I now wanted more the traveling bug had bitten! So, in October last year, I looked to the Mediterranean for the 2012 contest. The Med is not only a much shorter flight than that to the Caribbean but is also a far cheaper place to visit. The Caribbean, while it is a beautiful part of the world, is very expensive to visit. Where else would a litre bottle of gin at $6 US be cheaper than a box of Kelloggs cornflakes at $6.50 ?! The villa that I rented on the British Virgin Islands last year cost $2400 for ten days and, when added to two airfares at �800 each and car hire at $700, a sizeable dent was made in my amateur radio pocket money! However, the Mediterranean does not offer anywhere near the choice of British Commonwealth Areas (BCAs) that the Caribbean provides so it was a choice of either Gibraltar, Malta or Cyprus. Gibraltar (ZB2) was out of the question as it is nigh on impossible to get a full callsign out there and, in any case, the choice of operating site would mean the Rock would be in the way whatever the location. Cyprus (ZC4/5B4) has enough resident Commonwealth Contest operators in any case so I was left with Malta. A quick Google soon told me that the island of Gozo was the place to visit, rather than the island of Malta itself, since it is the most scenic of the Maltese island group and has a distinctive culture of its own, thus making it a interesting place for my wife and I to have a short holiday outside the BERU weekend. The climate, according to Google, was also quite acceptable in March, with average daytime temperatures around 15C and nights down to 9 or 10C . at least that is what Google said! (More on this later). 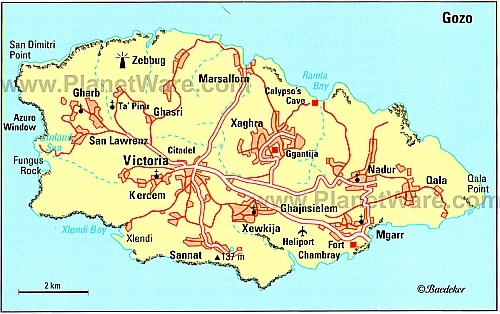 I searched around the rental villa websites and decided to take a chance on the south coast of Gozo, rather than the northern one, as the ferry between Malta and Gozo terminated at Mgarr on Gozo, just 25 minutes across the water from the Malta side. We were advised that car hire on Gozo was unnecessary as there is a very good bus service (and the Gozitans have a green environmental policy) so I did not want to be too far from the ferry for both our arrival and departure. In the final event we found a villa, Mediterranean Seaviews, in Ghanjsielem, just 12 minutes walk from the ferry terminal. It was nice and high up above the harbour and had very good HF radio take offs in almost every direction. For our arrival and departure, the villa owner Frank Tabone arranged a taxi to and from the international airport on Malta and a free pick up shuttle service from the Mgarr ferry to the villa. Frank was certainly the most caring and hardworking host you could wish for. Nothing was too much trouble for him. Before I made the final online reservations, I explained in emails to him just what I wanted to do .. install a wire antenna system at the villa and operate a short wave radio station for eight days or so. I also explained what the Commonwealth Contest was about and he seemed to get really interested in the project. In fact he was so interested that he said I�d no need to bring any tools, extension cables and a mast as he would have them waiting for me on arrival! Tuesday, 6th of March saw my wife and I leave Sheffield just before 6am to take the long drive from Sheffield to Heathrow Terminal 4. This time we were flying via Air Malta, a new but very pleasant experience for us. Having taken amateur radio gear through airport security without an problem the previous year, I though I was going to have a similar time of it this year … wrong! Heathrows security is tighter than ever. I carried my IC706Mk2G, Microham MkII keyer, LDG IT-100 auto ATU, mini Asus laptop and SEC 1223 PSU in small backpacks that my wife and I carried into the aircraft cabin, leaving the antennas, coax and other essentials to fill up, at 20kg each, the two hold cases. Airport security demands that all electrical items are taken out of carry on baggage and placed on trays at the scanning stations. My own backpack and gear went through fine but my wifes created some concern as she had forgotten to takeout the power supply. So we were both whisked off to a separate area and asked to explain what all the gear was for. Of course I had all the necessary documents and it was a relief to find the security officer to be a most pleasant bloke. He had been a radio operator in the Royal Navy and I think I may have persuaded him to visit his local radio club (Crawley?) with a view to sitting his amateur radio exam! On taking everything out of my wifes bag they found a small but heavy cardboard box and wanted to know what was in that. I replied, It is a morse key. Actually it was my keying paddle, on a heavy rectangular brass base. I was told this was not really permissible as a carry on item as it could be used as a weapon! Fortunately the radio-friendly officer waved me through this time but the message is clear to anyone reading this .. double check the regulations before you pack your bags. I have heard of one radio amateur who had a bag of tie wraps confiscated as they might be used as ligatures to garotte the air hostess and pilot! On arrival in Malta our carry on baggage was again checked before the arrival gate. This time I emptied everything out on the table only to be greeted with, It is an IC706 ! The security officer was English and had a G0 callsign! As a result we were out of the airport in quick time. So, by mid afternoon, we were being greeted by David our taxi driver at Malta international airport and whisked off for a bumpy ride of almost an hour to the Malta-Gozo ferry terminal. 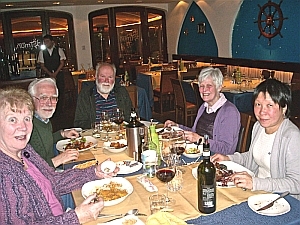 Once across the channel were we picked up by Frank himself and taken to our villa where he had laid on a complementary welcome meal! This was service indeed! I should mention here that the weather at this time was quite mild but breezy ands we were lulled into a false sense of security as time would tell! The following day saw the erection of the fan dipole antenna system that had done so well in VP2V. Frank, who works as a deputy head in a local primary school, took time off to help me pull the four dipoles (80, 40, 20 and 10m … the 40 dipole also working on 15m) up a short wooden mast which he had provided. This was lashed with tie wraps to the rail of the roof top terrace of the tall building. On arrival the previous day, I must admit to a feeling of dismay, realizing there was no garden whatsoever at this villa and thought getting the antennas out, especially the 80m dipole, would be extremely difficult. The photos on Franks website did not indicate a lack of garden. I need not have worried though as Frank was more than happy to let the antennas spread across the roofs of the villas on either side of ours.. he had the one to the left and his mother lived in the one to the right of ours! 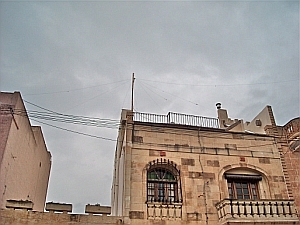 His mothers rooftop also had a useful flagpole which held the 80m dipole up nicely along part of its length. All the dipoles were in inverted V style and were finally tuned to the lower ends of each band using a miniVNA. A worry that always exists with rental locations like these is the proximity of domestic wiring and possible RFI problems. Houses in Gozo have overhead power lines supplying them and, along with overhead telephone cables, they were very near my dipoles. However, I had no reports of interference to the radio or TV but I did cause the PIR operated stair lights in our villa to switch on every time I hit the key. Since we were high above the harbour, I guess ships captains out in the channel thought a new lighthouse had just come on! I just hoped Franks mother didnt have the same problem. By Wednesday 7th March, I was ready to make my first transmission under the nice 9H3C callsign the local authorities had issued to me for free for one month. Having worked countless numbers of 9H stations from the UK in the past I was not prepared for the pile ups 9H3C seemed to attract. While not at the level of those experienced in VP2V last year, when I made over 3600 contacts in a few days, they were nevertheless substantial and I soon realised that 9H was on many peoples wanted list, especially on the WARC bands and 40m and even more so in Japan! I had always intended to do the bare minimum of operating outside the Commonwealth Contest as we wanted to have a holiday in a place we’d never been to before, so my operating was confined to around an hour or so a day. Nevertheless some 860 QSOs are in the log and when added to the 732 worked in BERU made for a sizeable order of QSL cards from my local printers back in the UK. These cards are now available for anyone who worked 9H3C this March. By the way, 9H3C has been also issued to other visitors to Malta in the past so dont confuse my operations with those! 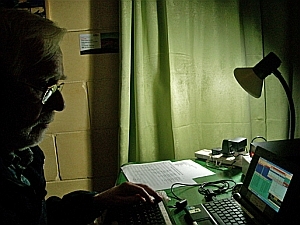 Only QSOs made between 7-15 March 2012 will be confirmed by me. The logs are now also on LOTW and Clublog. In the days leading up to the Commonwealth Contest weekend the weather was quickly deteriorating so by Friday evening there were north westerly 80mph gales, with torrential rain, sweeping across this islands. Night time temperatures were down to 6 degrees. I feared for the wooden mast I had put up so, on Friday night, I braved the tempest and managed to fix a back stay to it which seemed to do the trick. While all this was going on there was another saga taking place on the north coast of Gozo! Just a few miles north of me, Peter Hobbs, G3LET, had arrived to do the contest field day style from a ploughed field on a high promontory near the seaside resort of Marsalforn. Id been in email contact with him before I left the UK and we had arranged to meet up for a meal on the Monday after the contest. 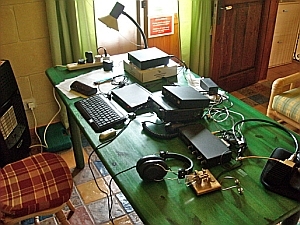 Peters wife had the good sense to stay indoors at their rental in Marsalforn while Peter spent Friday setting up his portable station in the farmers field. He wasnt to know what was coming later so he happily erected Spiderpole based, full size groundplanes for both 80 and 40 metres and wires for the other bands. The idea was to operate from inside his RV, using a petrol genny as power source. Like myself he was entering the Restricted Section of the Commonwealth Contest. His location was superb, much better than mine in fact … a great take off to the NW to the UK and Canada, from where many of the BERU contacts come, and also good for Asia, VK and ZL. I was more favourably located for Africa, the Caribbean and Oceania while being passable for the nearer UK and even Canada. Friday night and Saturday morning took both of us by surprise. The contest was due to start at 1100 Malta time but by then both of us were in strife. Peters 80m Spiderpole had been snapped in half and I had to replace a current balun at the feedpoint of the fan dipoles. It has been stressed by the wind until the coax connection had failed. This only came to light with 5 minutes to go before the start of BERU! Half an hour later Id managed to put a new balun place but at the risk of being saturated with rain and blown off the roof terrace. In addition to all this, we had to contend with floods! Just before the start of the contest I went downstairs and opened the front door to find the Amazon river was flowing past the steps! The rainfall had been incredibly high, even for Malta in March. Over in Marsalforn, the sea had come over the sea wall, flooding shops and restaurants along the front. This was no ordinary storm! By midnight my score was 150 above last years at the same time and I was feeling good but where were all the multipliers? In spite of many more contacts I was not getting those essential BERU areas that make a winning entry. While I was more than aware of the need to take time off running and going to Search and Pounce for multipliers, I was was not hearing many. As a result, my final points score is a couple of hundred down on last year, in spite of a much higher QSO total. The Caribbean is always a good source of multipliers with stations on most years from 6Y, J6, J8, VP9, ZF, V31, VP2E, VP2M and the like. If you can get them to change bands you can usually clock up a healthy tally of mults. Sadly this was not to be for me this year as, though I worked all the call areas from that region, I didnt get them on all five bands. Of course its easier to work G, VE, VK, etc on all bands. In my view it would be great if the separate entities of the UK were score separately, on the lines of the ZL and VK call area. I cannot understand why ZL1 to 9 count separately (in a country the size of the UK) yet GM, GW, G, GI, GU and GJ only count as one area. In the UK its often possible to have a couple of hours of sleep around 0300UTC but not so in Malta! The bands are still alive then and no one was more surprised than I at the sound of ZLs on the long path coming through around 0345 on 20 metres. This year, there were seemingly loads of them, including rare DX in the form of ZL7! One thing I really like about BERU is the reappearance, each year, of old friends and the contest regulars, some of whom come on from a different location each year. 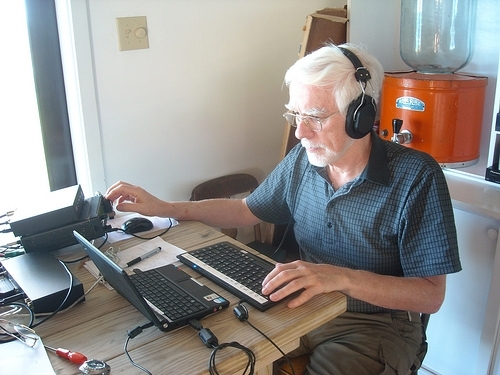 This year it was Nigel, G3TXF, who was running a master class in contest operating from his ZD7XF location. He was a colossal signal on every band and seemingly never let up for the full 24 hours. His score will certainly reflect that. Its also a pleasure to work operators who live in ones local area and who are members of the same club as oneself. Fellow Sheffield ARC members G4FAL (operating at G6PZ) and G0HSA gave me much valued points as did Old Timer Philip, G3NEO, whose distinctive dahdid di dahdahdah is easily recognisable through any pile up. Then of course there are the fellow BERU Travellers such as Dave J88DR (G3TBK) and Bob VP9/G3PJT who are somewhere exotic year after year. Throughout the contest I would hear my neighbour and fellow team member 9H3ET knocking them off at a rapid rate. I tried not to get disheartened when I saw he was over 300 Qs ahead of me at 0100, thinking he must running a linear and directional antennas. It was only later, at our get together for dinner at a nice Gozitan restaurant on Monday evening that he broke the bad news to me …. he was also on the Restricted Section, running 100 watts to wire verticals! That QTH he had chosen certainly did its stuff as there were times when he was working stations I couldnt really copy at all. Still, at the time of writing this in early April, Peter and I hold the top two positions in the Restricted Section, before the logs are adjudicated. Just a handful of contacts below me is fellow team member Alan C56XA(G3XAQ) so I may lose my 2nd position if his log has fewer errors than mine! Our Team Med/Africa consisted of captain C4Z, ZB2EO, C56XA, 9H3ET and myself 9H3C, At the moment we seem to have done very well but, then again, team Caribbean somehow managed to tack the Atlantic Ocean onto their area and had the might of ZD7XF to take them to a great score. BERU is not all about winning, although that would be nice! Its really about taking part in what must be the best and most friendly contest in the world … you even have time to say GL to your pals! See you all next year, I hope ..